New Flyer announced the launch of New Flyer Infrastructure Solutions - service dedicated to providing safe, reliable, smart, and sustainable charging and mobility solutions. The move proves that the company links the future with electrification and expects that more and more customers will be not only purchasing electric buses, but also requiring help with infrastructure. 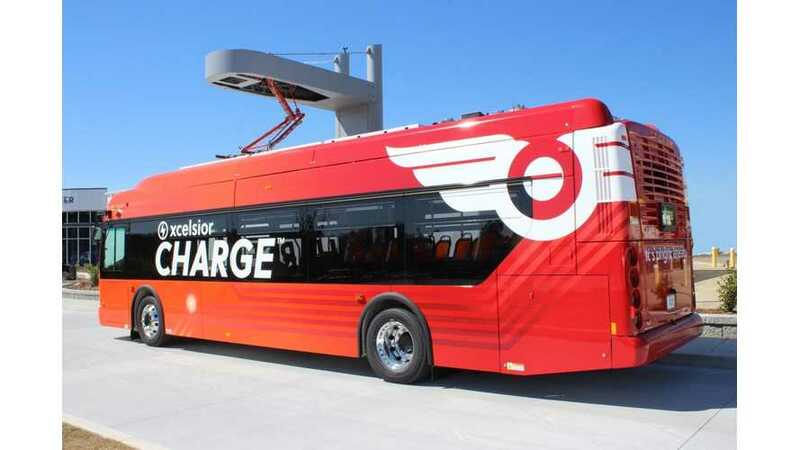 New Flyer, together with a growing number of partners like Black & Veatch, Siemens, ABB, ChargePoint, and Burns & McDonnell, intends to cover all aspects from electric grid to the bus, both in the depot and on the route. According to New Flyer, it's the first such comprehensive offer from a bus manufacturer in North America. The other good news is that all the new Xcelsior CHARGE electric buses will get Connect 360 – real-time, cloud-based business analytics dashboard, which so far was installed only in conventional buses (over 6,500 since 2011). "Key business analytics provided by Connect 360™ include battery state-of-charge, outside air temperature trends, GPS location and average speeds, HVAC energy consumption per mile, regenerative braking, range achieved and remaining, and energy consumption (kWh/mile). Benefits of Connect 360™ business analytics provide operators additional range capability with ideal driver performance, decision-making information to optimize charging strategies, and intelligence on how to preserve battery energy throughout the day; all resulting in reduced operating cost and maximum fleet utilization. To date, Connect 360™ remains the only reporting technology of its kind for battery-electric buses in North America. Connect 360™ is included on every new Xcelsior CHARGE™ ZEB and provides full-circle perspective on ZEB operational performance, helping transit agencies better understand the new technology as they transition from traditional to zero-emission fleets. Agencies can now translate data into visually intuitive graphs and measurements, helping to optimize the ultimate performance capability of a ZEB fleet in addition to benefiting all aspects of bus operation – from bus drivers to passengers, and maintenance to scheduling teams." "New Flyer Infrastructure Solutions™ will support mobility projects from start to finish and focus on energy management optimization as well as infrastructure planning and development, providing a cohesive transition of bus fleets to zero-emission bus (ZEB) technology. This newly established service offering is the result of ongoing industry efforts to provide smart, sustainable, connected public transit solutions. Infrastructure Solutions will conduct site visits, provide design and engineering services, oversee qualified Engineering Procurement and Construction (EPC) partners to provide make-ready utility services and install chargers, coordinate UL (Underwriters Laboratories Inc.) certification, and provide onsite grid-to-bus testing and commissioning to ensure safe, reliable, and cost-effective infrastructure projects. The Infrastructure Solutions team will be based at the Vehicle Innovation Center (“VIC”) in Anniston, Alabama. The VIC was created by New Flyer in partnership with Motor Coach Industries Inc. ("MCI"), also a subsidiary of NFI, to deliver on NFI’s commitment to advancing bus and coach technology, and investing in innovation, jobs, infrastructure, and manufacturing. Since opening late 2017, the VIC has welcomed over 1,000 visitors including transit agencies, regulators, Federal Transit Administration Acting Administrator K. Jane Williams, elected officials such as Alabama Governor Kay Ivey and U.S. Senator Doug Jones, suppliers, utility providers, media, and various other stakeholders. NFI is the only provider of full suite bus solutions in North America, offering transit, motor coach, and low-floor cutaway buses."